UPDATE: Pete Davidson made a brief live appearance on Saturday Night Live. The NYPD informed E! News earlier that they had performed a wellness check on the comedian. Also earlier on Saturday, Ariana Grande appeared to reach out to Davidson on Twitter after his public cry for help, while Jon Cryertweeted, "Am hearing Pete Davidson is at SNL and accounted for. We are thinking of you, Pete. You are loved. (And just a heads up, when you finally turn on your cell, it's gonna go apes--t for a little while)." Cryer previously tweeted, "I just tried to text and call him, his phone is not on or out of cell coverage." Pete Davidson is not in a good place. "I really don't want to be on this earth anymore," Davidson wrote on Instagram on Saturday, just minutes before deleting his account, as he did temporarily after he and Grande split in October. "I'm doing my best to stay here for you but I actually don't know how much longer I can last. All I've ever tried to do was help people. Just remember I told you so." "Pete Davidson ... hang in there. There is a lot of help out here," tweeted Jada Pinkett Smith. "Surrender to some love some where around you ... today! Right now! And then ... let in the help that will become available. I'm praying for you Pete. I've been there. It gets better." 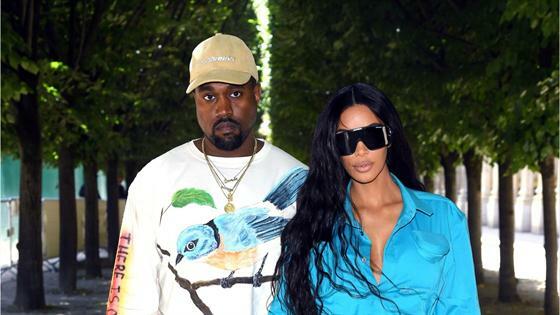 Minutes earlier, Davidson, who has been open about his struggle with depression, wrote, "Bravo Kanye West for standing up for yourself and speaking out against mental health. I can't explain to you enough how difficult and scary it is to be honest about stuff like this. We need people like Kanye. No on should ever point fingers at you for your bravery in speaking about mental health. I'm seriously disgusted." Several of Grande's fans lashed out at him for allegedly "attacking" his ex with his post. Davidson had said earlier this month he has been bullied for months, even before he and Grande broke up. West, who shared a stage with Davidson on SNL in September, has also been open about his mental health struggles. In October, following controversy over the rapper's politically-charged performance, Davidson issued a plea to him on the show, saying he should take his medication. West has said he has gone without it for several months. Grande has not responded to Davidson's remarks, which come hours after she weighed in on West's recent Twitter tirade against Drake. She had tweeted, "Guys, I know there are grown men arguing online rn but Miley and I dropping our beautiful, new songs tonight so if y'all could please jus behave for just like a few hours so the girls can shine that'd be so sick thank u." Grande had released her new single "Imagine" as scheduled less than two hours later after promoting it throughout the day. "I know Ariana said this to be cool and didn't mean no harm but I don't like even slightest level of slight commentary from someone I know loves and respects me," West replied at 4:38 a.m. PT. Drake himself has not responded directly to West's tweets about him, in which he accused him of making threats against him, while Sophie Brussaux, the mother of Drake's son, reacted to Grande's tweet, writing on Instagram, "I would hardly call Kanye arguing with himself 'grown men.'" Davidson's comments supporting West after his Twitter war of words with Grande are not surprising given that the former pair's breakup was not exactly smooth. In November, she was angered by an SNL promo that showed the cast member jokingly propose to musical guest Maggie Rogers, and when she turns him down, he says he is "0 for 3." Grande later tweeted, "For somebody who claims to hate relevancy [you] sure love clinging to it huh...Thank u, next," referring to what would later be revealed as the name of her new breakup single, which references Davidson and other exes by name, favorably. A source told E! News at the time that Davidson had "really hurt" Grande with the promo because he had "violated" an agreement to not address or discuss his relationship with her after their split. Another source denied that Davidson, who had also joked about their breakup at a comedy show, violated any agreement, saying that the promo joke was self-deprecating. Davidson would go on to say kind things about Grande on that week's episode. After Davidson spoke out about being bullied over his relationship and split from Grande, the pop star issued a plea to her fans, saying, "I care deeply about Pete and his health. I'm asking you to please be gentler with others, even on the Internet...I will always have irrevocable love for him and if you've gotten any other impression from my recent work, you might have missed the point." She also revealed that Davidson had blocked her on Instagram.